Don’t waste your time trying to generate leads on a poorly designed website. A powerful, efficient website optimized for lead capture is the key to generating more transactions. Z57 websites focus on your core business and offer tons of easy and effective tools proven to grow your business. ■ Your real estate website is not integrated with your social media profiles. You need to show your clients that you are current in your marketing techniques. If you haven’t integrated social media into your marketing strategy or website, you need to get on board. ■ Your website is old, outdated and not useful to visitors. If your website isn’t a routinely updated, lead-generating asset, it’s wasted Internet real estate. Z57 websites refresh your content on a daily basis – ensuring positive recognition from search engines. ■ You are using your broker’s website option. If your website is built on a template, it’s merely a digital business card and Google doesn’t see it. If your site is not showing up in Google rankings, you are missing out on tons of business. Additionally, if you’re tied to a broker, it’s much more difficult to accurately represent your personal brand. ■ You want to expand your reach. Higher Google rankings, seamless social media integration and effective branding will help you build fresh momentum. When you strengthen your online presence with a new website and an active blog, your web real estate business grows and thrives. ■ You want to strengthen your overall brand. Greater brand recognition online equals better brand recognition in the real world. If you want the most cutting-edge, up-to-date tools for building lead generation and brand recognition, Z57 websites have got you covered. Z57 also provides one-on-one training through Z57 Academy – teaching you the easiest system available for implementing a proven marketing strategy guaranteed to generate results. Z57 websites help our clients and ZPro professionals expand their reach, strengthen their brand and spend more time focusing on their core business. 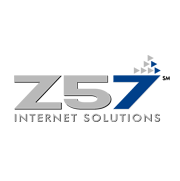 Contact Z57 today to get started with a powerful new lead generating website!